Runner’s knee is most common in a runner and can also affect the individual who overuses knees by biking, jumping or walking. 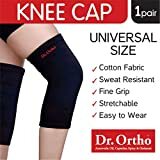 This is the first step to lower down the pressure on thigh bone and kneecap. Keep legs straight or slightly bend that can be helpful to reduce pressure on your joints. Ice is helpful in reducing the inflammation and provides a quick and temporary relief from pain. Avoid applying ice directly to your skin. Cover the ice pack with a towel to prevent ice burn. Ginger or turmeric are a natural remedy for pain relief. You can take ginger or turmeric as a tea or add these spices to your cooking. With the proper guidance of a doctor, it is necessary to take some physical therapy for an effective treatment of runner’s knee. Besides these, you can also use an ayurvedic pain relief formula i.e. 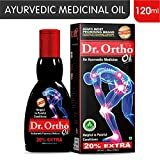 Dr. Ortho Oil – made of 8 natural herbs. It is completely ayurvedic and good to heal the pain in the knee. If you liked reading this article – “5 Natural Remedies For Runner’s Knee”, do like it and share with others. You can share your views with us in the comment box below.